Catherine A. (Newhart) Kline, 78, of rural Benton (Sugarloaf Township), died Tuesday afternoon, November 27, 2018 at her home following a brief illness. Born in Bloomsburg, March 10, 1940, she was a daughter of the late Fred and Katherine (Kibler) Newhart. She was preceded in death by her husband of 41 years, Elmer John Kline, Jr., on March 17, 1998. Mrs. Kline worked at Dillon Floral in Bloomsburg for a short time and also assisted with the family farm. She had been a volunteer with the 4-H program for many years. Her hobbies included gardening, crafts, hunting, and spending time with her grandchildren. 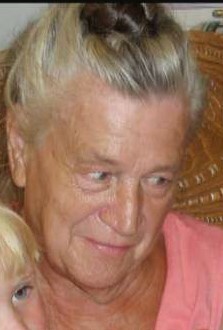 Surviving are her five children: Gary J. Kline, Berwick; Lisa A. Dollman and her husband, Paul, of Orangeville; Eric J. Kline and his wife, Richelle, of Bloomsburg; Abraham J. Kline, of Benton; Benjamin J. Kline and his wife, Virginia, of Benton; nine grandchildren and 4 great grandchildren. Also surviving are a brother, Franklin Newhart and his wife, Sarah, of Benton. Along with her parents and husband, she was preceded in death by a daughter, Brenda Ann Kline, on Feb. 4, 2014; a granddaughter, Kimberly Dollman and by three brothers: Lou, Frederick, and Raymond Newhart. In lieu of flowers, contributions may be made to the family to help defray expenses.